Every year the fashion industry announces the newest trends, the color of the season, and the newest blue jeans cut. But something changed in recent years. The fashion seasons got shorter and the trends were turning over faster and faster. Before they knew it, consumers were finding that their new clothes were already out of style. In response to this change in fashion, consumers made some changes of their own. Here are 3 majors things to know about today’s fashion consumer. At one point in their lives, consumers were content with the $5 tshirt that fell apart less than 4 months after purchase. However, when we consider the unethical labor practices that accompany cheap clothing, that $5 tshirt starts to look a little less attractive. Additionally, because most fast-fashion is not designed to last, clothes bought today could rip and fall apart the next day. This is fast-fashion’s cheap trill marketing trip. Brands entice consumers with low prices to distract them from the relatively low quality of the material. They then employ marketing schemes to convince consumers that their old clothes are not trendy and need to be replaced. Following trends feeds the endless cycle of buying and dumping clothing. Recently, the minimal fashion movement has been making a comeback on fashion blogs that focused less on trendy clothing and more on defining personal style. For example, the capsule wardrobe challenges wearers to build a cross-seasonal and versatile wardrobe that is comprised of interchangeable style staples. Minimal fashion pushes consumers to be intentional about their purchases. Every article of clothing has a purpose and impulse buying is discouraged. The result is a disciplined shopper who who know her/his style well enough to select items that complement it. With the low cost and accessibility afforded by fast-fashion, consumers often unknowingly purchase clothing from brands with questionable supply chains. However, saying consumer do not care about the conditions their clothing was made would be inaccurate. A recent study showed that 90% of the shoppers surveyed would boycott companies with socially irresponsible business practices. With more movements (like Fashion Revolution’s Who Made My Clothes? campaign to commemorate the 2013 Rana Plaza collapse) holding brands accountable for their their supply chains, the fashion industry is being forced to be more transparent about their business dealings. This new breed of empowered consumers have no qualms with exposing fashion’s dirty secrets, but they also raise awareness about ethical brand initiatives. Working closely with vocal eco-fashion advocates and bloggers allows brands to tap into the market of eco-inclined consumers. Brands should be careful not to throw out gimmicky greenwashing efforts that attempt to clean up its image. This specific type of consumer is known to examine brands with a fine tooth comb before giving their monetary support. 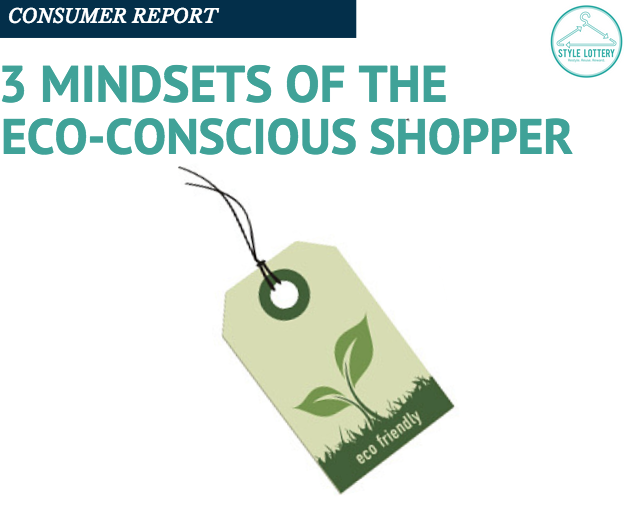 While consumers have been vocal in their urgings for more sustainable fashion practices, they haven’t necessarily connected those convictions to their wallets. Ethical fashion labels are mystified by this. A GQ article accurately explained this phenomenon: “[consumers are] not usually willing to pay a premium just because something is more socially and environmentally conscious.” Currently, the fashion industry has a limited supply of truly ethical and sustainable brands and the demand from consumers has not yet reached the point where the price is attractive for the average consumer. The good news is that the demand for sustainable fashion is growing. Perhaps, one day it will be an industry norm and more apparel retailers will switch over to eco-friendly practices. Until then, brands and their producers should be expect to bear the brunt of an “eco-tax,” rather than charging the consumer exponentially more for greener products. The eco-tax, for the sake of this article, is the cost (money, time, and effort) of implementing the more costly eco-friendly practices in lieu of cheaper, more wasteful options. Nin Castle, cofounder and creative director of sustainable fashion brand Goodone, encourages sustainable brands to create products that will entice people to buy based on its design. Over time, I believe brands will see that consumers will be willing to meet them half-way in exchange for eco-friendly products that are more affordable and of higher quality.